Margaret Harwood sat on the floor for this posed tableau on May 19, 1925. Harvia Wilson is at far left, sharing a table with Annie Cannon (too busy to look up) and Antonia Maury (left foreground). The woman at the drafting table is Cecilia Payne." 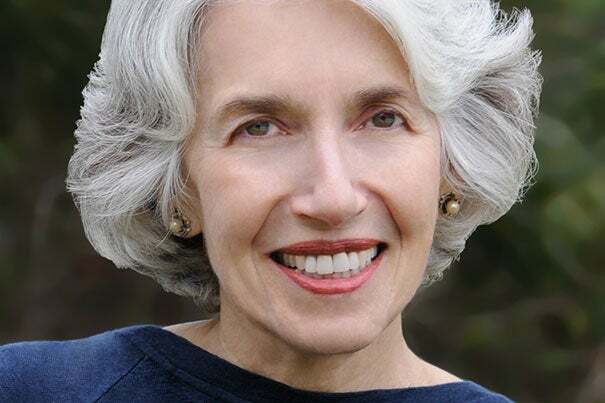 Author of “Longitude” and “Galileo’s Daughter,” Dava Sobel in her latest book tells the story of the female “computers” who worked at the Harvard College Observatory from the late 19th through the mid-20th century analyzing stellar data captured on a growing collection of photographic plates. Using complicated calculations, the women classified the stars, determined their brightness, and even discovered new stars, nebulae, and novae. Many of their findings led to important discoveries about the universe, and their work helped clear obstacles for women in science. GAZETTE: How did you first hear of this story? SOBEL: I was interviewing astronomer Wendy Freedman more than 20 years ago as she was working on a Hubble telescope key project involving the expansion rate of the universe. She mentioned the work of Henrietta Swan Leavitt as being fundamental to her work in the present. I had never heard of Leavitt. When I looked into her work I found out that Leavitt had been working with literally a room full of women at Harvard, which was a big surprise because Harvard in the 1890s was not really a place one thinks of as being especially welcoming to women. But the observatory was a separate institution with its own director and its own financial responsibility. It already had a history of women working there. That struck me as powerfully interesting, as well as the notion that the work these women were doing was really important. GAZETTE: How did the photographic plates collection at the Harvard College Observatory factor into the work the women were doing? SOBEL: The glass plates were central to their efforts. 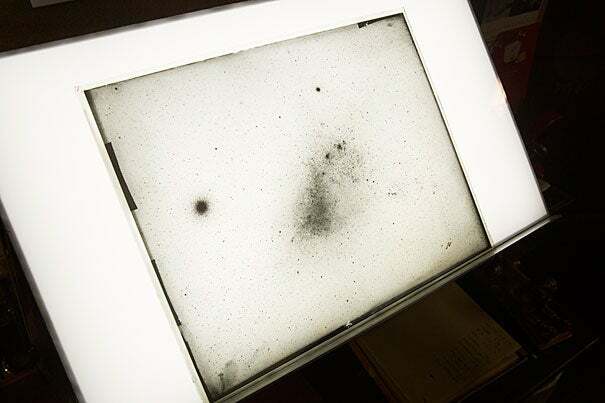 In the 1800s the Harvard observatory began photographing the skies, in particular stars and their spectral characteristics, using a technique that captured the images on glass plates. Photographing the stars’ spectra didn’t become possible until the very late 1870s thanks to the efforts of amateur astronomer and American scientist Henry Draper. His sudden death led Draper’s wife to give Harvard her personal fortune to carry on her husband’s work. Her support gave the observatory’s director, Edward Charles Pickering, a lot of money to do the work and to hire women to look at these photographs. That’s what made the Harvard group of women more like astronomers than computers: They had these photographic plates from which they then made genuine discoveries. GAZETTE: Can you describe their work? SOBEL: A number of them were working on establishing a classification system for the stars — a taxonomy of stars, just the way animals and plants are classified as a way to get a grip on the natural world’s range of diversity. They had been given freedom in that assignment: “Here is the problem, you solve it.” Leavitt in particular was looking to make discoveries of variable stars and in the course of doing that she noticed a relationship between the brightness of a particular kind of variable star and the length of time it took to cycle through its variation — go from brightest point to dimmest point and back to brightest again. That observation remains the basis of the distance scale that was first used to figure out the distance to the very stars she was looking at, then to determine the size of the Milky Way. Eventually American astronomer Edwin P. Hubble used Leavitt’s stars to show that the Milky Way was not the sum total of the universe, that there were other galaxies beyond the Milky Way. GAZETTE: So her work really helped establish some fundamental understandings of the universe? SOBEL: Absolutely. Just a few years later Hubble showed that the Andromeda galaxy was a separate galaxy. And then he showed that of these distant galaxies, the ones that seemed to be the farthest away from us were receding from us at the greatest rates. And that too depended on Leavitt’s discovery. Her work had tremendous reach and it’s still used now. GAZETTE: Did she get the credit at the time? SOBEL: She absolutely did. Pickering wrote an announcement in an observatory circular that reached a much wider audience than just the observatory community. So he gave her credit there; that was 1908. In 1912 she published the work herself in the annals of the observatory, which was the official publication. So she got her own credit for making that discovery and in fact now many astronomers have started talking about her discovery, which for years was called the period-luminosity relation, as the Leavitt Law. GAZETTE: Can you describe the observatory’s relationship with Radcliffe and why it was so important? SOBEL: The Radcliffe students got instruction from some of the astronomers at the observatory. The students were also recruited to work there. 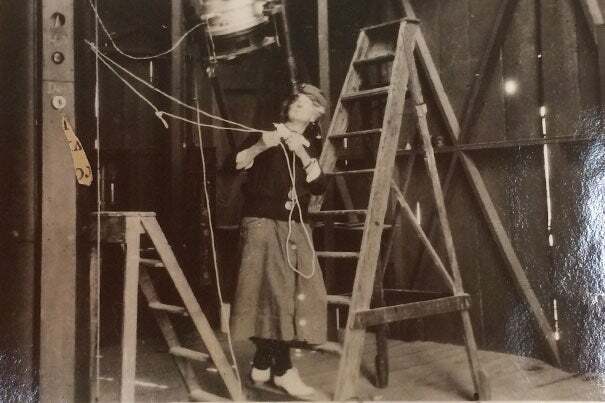 Some of the most prominent, productive women on the observatory staff over a period of many years — Margaret Harwood, Henrietta Leavitt, and Arville Walker — were all Radcliffe alumnae. GAZETTE: You mentioned Mrs. Draper. What I found equally fascinating — in addition to the women computers doing the work and making these important discoveries — was the story of the women who financed their efforts. SOBEL: Another thing that made this story so stunning to me was that not only were women doing the work, the money supporting them was coming from interested women. Mrs. Draper had been her husband’s assistant/partner. He trained her and she was really knowledgeable. She was determined just out of love to see his work done after he died. And she was independently wealthy, so she made that possible. She carried on a correspondence with Pickering for about 30 years while the work was going on. And you can see how much she understood. They have a technical discussion in their letters in addition to their ongoing friendship and general enthusiasm for the work. The other deep donor to the project was Catherine Wolf Bruce, who really didn’t have the sophisticated knowledge of astronomy that Mrs. Draper had, but she was sincerely interested and generous and gave money to build the big telescope for Harvard’s satellite observatory in the southern hemisphere. She also wanted to have Pickering help her identify astronomers all over the world whom she might help, which was an amazing concept and it was very much to Pickering’s liking as well. He had a generous spirit, gave a lot of his own money to the observatory, and helped Bruce set up that fund and reached out to astronomers encouraging them to apply for grants and aid from her. Then he read through all these proposals and advised her as to which ones were worthy. GAZETTE: Do you have a favorite character from the book? SOBEL: It’s easy to fall in love with Annie Jump Cannon. And like many people before me, that has happened. She is just so available because of her diaries. Here’s somebody who’s a lifelong diarist and her diaries are all there in the archives. GAZETTE: Can you describe her work? SOBEL: She perfected the Draper classification. Cannon inherited a system started by Williamina Fleming, who assigned letters of the alphabet to the various categories of stellar spectra. Cannon had to reorder the alphabet because of her own sense of the significance of the different spectral patterns. She dropped some letters and she put O at the beginning, so we come up with this O B A F G K M order of the stars which, if you take Astronomy 101, you will learn even now. She was so adept at classification she would get photographic plates that would have hundreds of those spectra on them, teeny little smudges, and she would be able to look at them and in seconds classify what group each star belonged to. She did hundreds of thousands of stars accurately and quickly and that made her world famous in her own lifetime. As they all were. GAZETTE: It struck me that she really devoted her life to this work. SOBEL: That’s another stunning feature here, the longevity in the job of most of these women. They did not leave. Some of them were there for 50 years. GAZETTE: What do you hope people reading your book will take away? SOBEL: I hope people get a true story about science in an age of alternative facts and terrifying anti-science sentiment in this political climate. A new study by Harvard researchers found that, despite a widespread belief that a new story will be more engaging to audiences, original stories are often assessed a “novelty penalty” by listeners who find it hard to follow the new information.